You can practice and play golf all winter at nearly 100 Courses in a lifelike virtual setting at Scarlett's Virtual Golf Experience, with two locations, the second level of Spokane Valley Mall and Silver Lake Mall in Coeur d'Alene. Warm up at their virtual driving range, get a little practice on the chipping and putting green and then tee up. Beer and wine are available in their comfortable game room environment, and you don't have to choose between the games on TV and a round of golf, you can watch live sports events on giant screen TVs while you golf. Scarlett's Virtual Golf Experience even offers club fitting and professional lessons at the Silver Lake Mall location, from Eddie Heinen, who has almost 30 years of playing and teaching experience. His simple but effective teaching method will allow you to consistently play your best. Lessons cost $75 per hour, or buy a package of 4 lessons at $300 and get one free. Scarlett's is open seven days a week during mall hours, usually 10 am to 9 pm Monday through Saturday and 11 am to 6 pm Sundays. 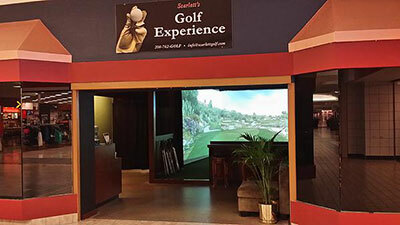 For more information on Scarlett's Virtual Golf Experience, visit their website at www.scarlettgolf.com or call 208-762-GOLF in Coeur d'Alene, 509-863-9766 at Spokane Valley Mall. 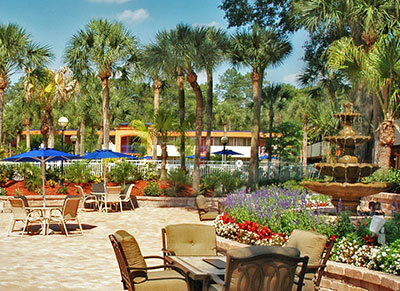 Red Lion Hotels Corporation has officially opened the 516-room Red Lion Hotel Orlando Kissimmee Maingate, located near the Walt Disney World Resort. The conversion of this property makes it the first Red Lion branded franchise location in Florida. The property offers concierge services, a business center, multilingual staff, complimentary parking and Wi-Fi, and Angel's Rock n' Roll Cafe-Bar. Set on 23 sprawling acres with lush landscaping, stunning fountains, great water views and community fire pits, the property has become a popular meeting space for engagement parties, bridal showers, weddings and receptions. Congratulations to Peggy Peterson, who was just named local sales manager for the KXLY Radio group. 49 Degrees North opened for operations yesterday, December 6th. The runs have been groomed are out grooming right now, and they have a very good dense snowpack. They are operating Chairlift #1 and #3 as well as the Hobbitt Handle Tow. Terrain will be limited but will include summit to base area runs, as well as beginner terrain. These are early season conditions, and you can expect marked and unmarked obstacles so it's necessary to bring appropriate equipment. The ski area plans on having full services available including, lessons, rental and repair, retail, and food and beverage. 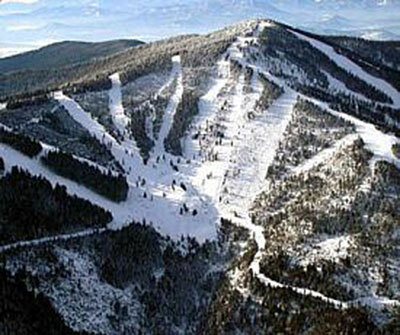 Weather can change, so for the most up-to-date information check their website ski49n.com or their Facebook page. MMEC Architecture & Interiors as hired Emily Greif as an interior designer. She also has six years of lighting experience. Spokane-based Yoke's Fresh Market will soon have a Liberty Lake location as the grocery chain takes over the former Haggen store at 1233 N. Liberty Lake Road. This past June Bellingham-based Haggen bought the Safeway store in Liberty Lake and re-branded it. Haggen, with 18 stores, grew to over 160 locations throughout the West after acquiring Albertsons and Safeway stores following their merger. However, Haggen filed bankruptcy in August and began closing some stores, the Liberty Lake store among them. Yoke's had the winning bid for the Liberty Lake location. Yoke's has six locations in the Spokane area, a store in Kellogg, one in Sandpoint, and four locations in the Tri-Cities. The website is yokesfreshmarkets.com. Leadership Spokane announces the King Cole Luminary Award to Scott Morris, chairman, president and chief executive officer of Avista Corporation. Morris is the fourth recipient of this annual award, which is to be presented to him on Jan. 29, 2016 during the Leadership Lights the Way Gala at Northern Quest Resort & Casino. Leadership Spokane created the King Cole Luminary Award to recognize exceptional servant leadership that lights the way within the community. In March 2013, the first award was made posthumously to King Forrest Cole. Cole is known as the 'father' of Expo '74, which revitalized the downtown, resurrected the Spokane River environs and led to the creation of dozens of other initiatives, including Leadership Spokane. As President of Expo '74, Cole was its main spokesman and promoter, but his real skill was his ability to get people to come together to achieve the impossible. Scott Morris is a Spokane native whose focus has always been people. His out-front leadership and philanthropy, which are felt throughout the community and beyond, and his involvement and significant support for local, regional and national organizations and initiatives, earn him praise from many. Contributing to the strength of the Spokane community, he led the development of the Avista Foundation and is committed to the sustainability of the partnerships Avista forges for the betterment of dozens of communities, not just Spokane. Morris' dream for giving something of significance back to the community was fulfilled in the Gathering Place Plaza, given to the City of Spokane, and he will expand his vision through a permanent and sustainable relocation of the Mobius Science Center for a $1-per-year lease, and proximity to some of the most spectacular scenery and learning opportunities in Spokane. Those interested in celebrating Morris' award event on January 29, can get ticket information at leadershipspokane.org/events/gala. Uncle Dan's World Famous Salad Dressings and Seasonings is now compatible with mobile phones. The website, uncledans.com, has been given a facelift, and is now easily accessible from wherever you are. This includes all shopping cart features. "The website is one of the few places we can talk directly to our customers," Says General Manager Chris Stephens, "In continuing to improve it and making it compatible with mobile, we can be wherever they need us to be, making Dan's that much easier to find." 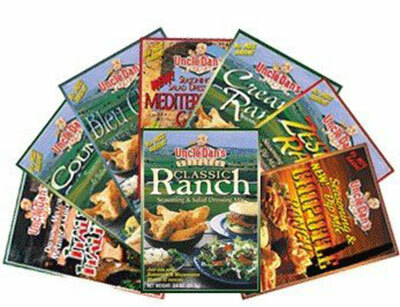 Visitors to the website can expect to find a variety of recipes categorized by dish and by seasoning flavor, video recipes from the Afternoon With Uncle Dan series, the Trophy Spice Seasoning line, and all eight Uncle Dan's seasoning flavors: Bleu Cheese, Chipotle Ranch, Classic Ranch, Creamy Ranch, Country Dill, Italian, Mediterranean Garlic, and Zesty Ranch. Uncle Dan began mixing his own salad dressings at home in 1966. Since that time, Uncle Dan's award-winning salad dressing recipes have become a salad lover's favorite for over 40 years. And for the first time, there is no MSG added. Uncle Dan's is also a gluten-free product. Geneva Woods Pharmacy & Healthcare Services has leased about 2,700 square feet of space in Building N-15 in the Spokane Business & Industrial Park, at 3808 N. Sullivan Rd. Geneva's primary business is pharmacy and medical supplies. The mid-day slump. We've all had it, that sluggish, grumpy slowdown period around 3 or 4 pm, when the caffeine has worn off, lunch is a memory, and all you want is to put your head down. - Drink a glass of ice water. It will wake you up, boost your metabolism and help you feel refreshed. - Have an energy-rich snack. Try a handful of nuts, a cup of yogurt, or apple slices with peanut butter. Avoid candy, which may give you a quick rush but leave you more bogged down than you were before. - Make a list for the rest of the day. Listing chores and family or social plans through the evening can help to clear your head and get you focused. - Do some deep breathing. Just a few minutes of deep breathing exercise can help to clear your head and get you energized. - Clean out your email clutter. Cleaning out your inbox during a lull in the afternoon can help you to feel productive and organized and ready to finish out the day. - Read inspirational quotes. Don't underestimate the power of words to jog you into action. Keep a book of quotes handy, or search online and find a quote that charms and motivates you. - Clean off your desk. A little filing, stacking and sensible tossing may help to make you feel organized and in-charge. - Listen to some music. A few minutes spent listening to some energetic music may be all you need to clear your head. Thanks to Bill Tierney, Success Coach, for this great information. You can reach Bill by phone at 509-209-2549 or by email at billtierneycoaching@gmail.com. The website is billtierneycoaching.com. "Go make a dent in the Universe!"